Despite this sounding technical it is quite easy once you know how. It should only take a few clicks of your mouse. Clearing your cache / cookies can resolve website problems, however, do be cautious. Clearing all of your data may mean that you lose things like your browsing and download history for websites you use regularly, saved form data, saved passwords and other browser data. It is better to clear data that specifically relates to the website you are experiencing problems with. This can be done with most browsers. Below are links to instructions for clearing data on specific browsers. 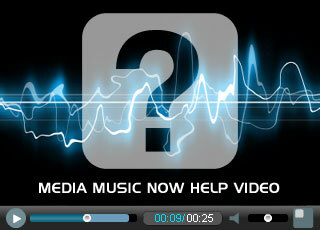 Be sure to identify and erase items pertaining to mediamusicnow.co.uk only. Before you try this there are other things that might resolve cache problems. You can try a Cache Refresh simply by pressing the following keys a few times or reloading your page. There is a handy tool provided by RefreshYourCache.com that can check if your cache has been refreshed. On this site you can also find step by step guides for Chrome, Firefox 3, Firefox 2, Internet Explorer 8, Internet Explorer 7, Internet, Explorer 6, Safari. There is also additional information about the technicalities of cache if you are in the mood for learning. RefreshYourCache.com is a helpful step-by-step guide website. However, if you feel more comfortable going to the official browser websites, here are some links.